Come on in to Carieras Italian Restaurant and let Fred Craddock August’s employee the month, make you one of our special pasta dishes. 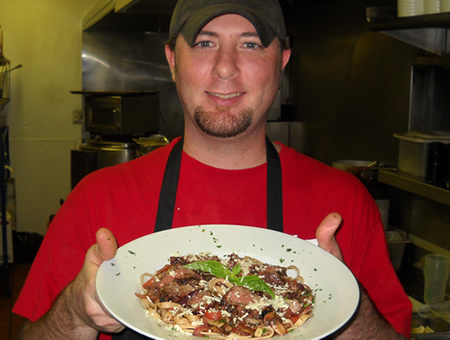 Pictured here with a “PASTA BISTECCA e POMODORI ” Chargrilled filet, button mushrooms, red onions, and fresh diced roma tomato tossed with fettuccine pasta, served in a burgandy wine reduction with asiago cheese!! !